Hellebore - plant, care. Hellebore varieties. Hellebores - pruning, cultivation. Helleborus seeds. 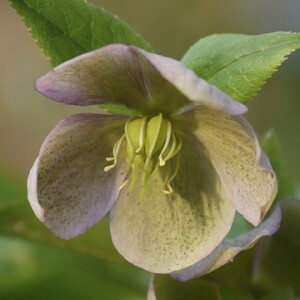 When to plant and how to care for hellebores. Helleborus is a plant with a long history. This representative of the family of Ranunculaceaem, it is successfully grown up in gardens for a long time, and if earlier the plant was grown up only for application in medicine, now, generally for decoration of a site. Quite often the hellebore is called still "a bear paw", this name indicates a form of flowers of a plant and the period of its blossoming. The homeland of this plant are boundless open spaces of Europe, the Mediterranean and the Western Asia. Today there are about 22 types of a helleborus. However not all these species of a plant can be met in one district. The biggest specific variety is noted on the Balkan Peninsula. In our corner of the world the most widespread types of a helleborus, for example, a helleborus black or a helleborus east grow.